Horn gap static / lightning dissipation for broadcast transmitter transmission lines. Chromed divergent electrodes dissipates high voltage stray energy. Also known as a Jacob's Ladder. 8-1/4" x 20"H. Harris P/N: 994-3322-001. General Electric distribution lightning arrestor. Thyrite mange - valve. 18 kv RMS. Gap = 1". Porcelain. 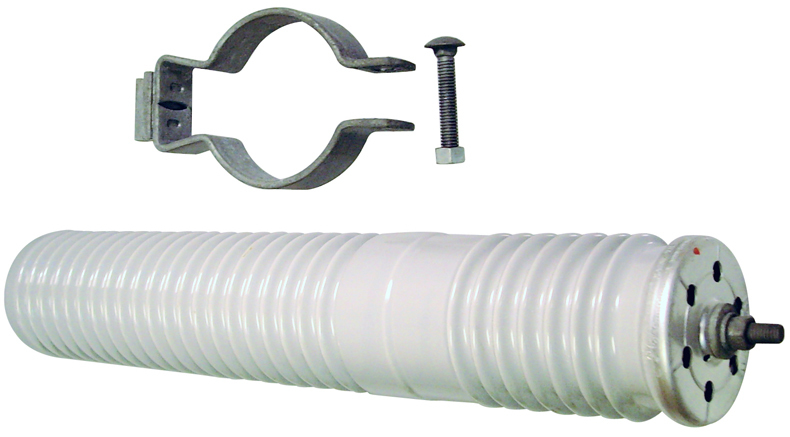 3-1/2"D x 22"L. 3/8" stud on top and bottom. Gates used this on transmitter and tower sites. New, old stock. Harris P/N: 560-0020-000. 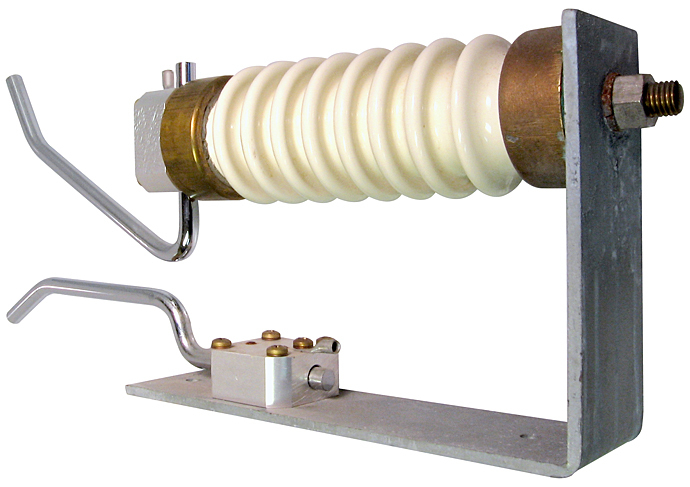 Cooper/McGraw-Edison Power Systems intermediate arrester. Rated at 10KV, 8.4 MCOV. 15" H x 5-1/2" D (insulatoor). 3 foot base is 9-1/2 Diameter. 19 lbs.